A Chart Template can be modified to capture and present all sorts of data to aid in visual recall or as a display to present people with options. 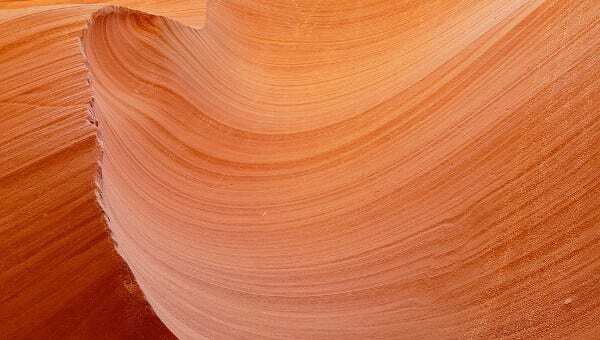 When it comes to visual, temperature is best described and remembered in terms of color. 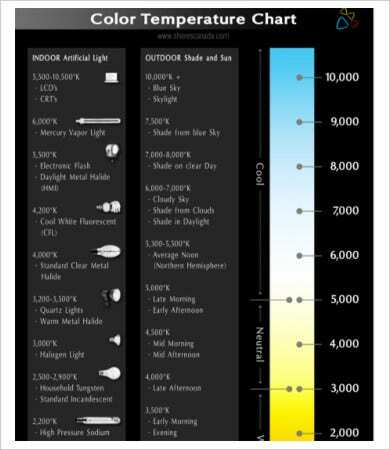 These interesting color-temperature charts will run from one end of the spectrum to the other, from LED colors to camera light colors, paint and metal palette charts, and Kelvin color charts as well. Even if you know nothing about these topics, it will definitely be informative to just glance through these charts. And if you are working in any artistic, technical, or scientific field that can benefit from the information, go ahead and download these charts as free PDF files. What Are These Color Charts For? You can think of these charts as the cross between a Metric Conversion Chart Template and a Color Chart Template. 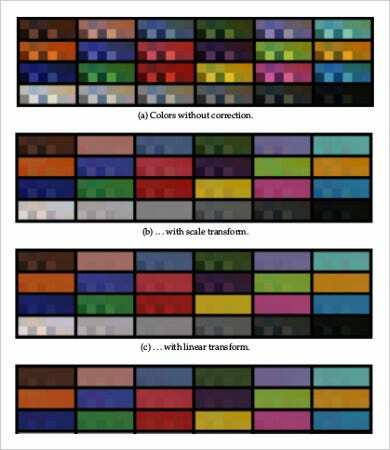 Each chart shows how colors are given a specific value or quality and how this value or quality can be decoded or translated into another value. 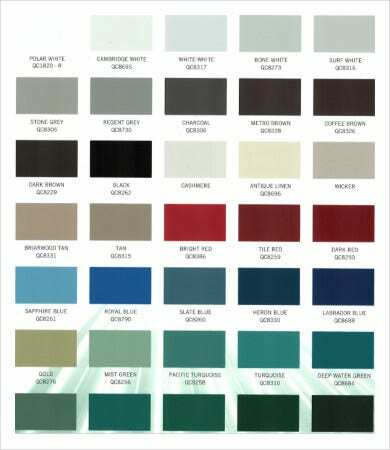 For different fields of specialty, colors are used as codes. 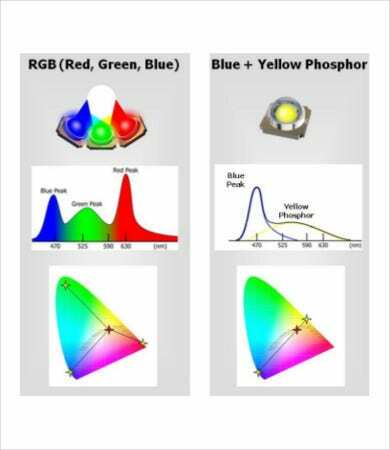 This can be literal codes or instructions in the science and engineering fields as well as the more technical art fields as film and photography, which have to measure white balance and the color of lighting. In other cases, these “codes” are to be used more like ingredients or aesthetic options. How Are These Color Charts Related to Temperature? 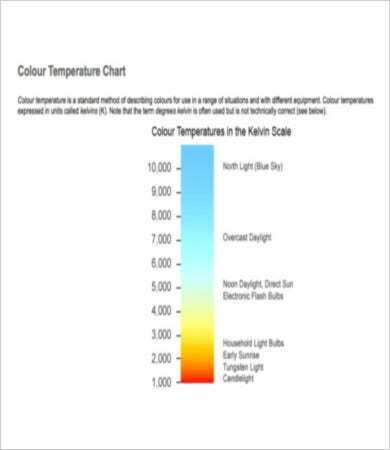 In the case of the technical fields, color can be tied to the actual temperature of some phenomena, linking a high-wavelength color to high temperature (see LED Color Temperature Chart). 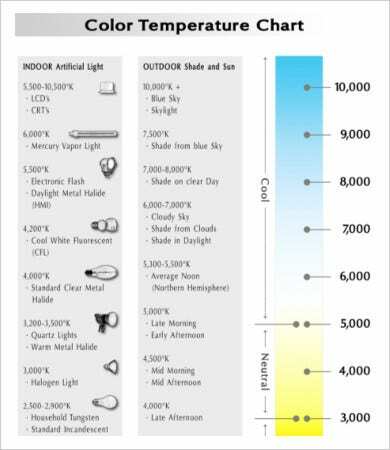 In the case of the Star Color Temperature Chart, scientists classify stars by denoting their approximate surface temperature to a specific color. 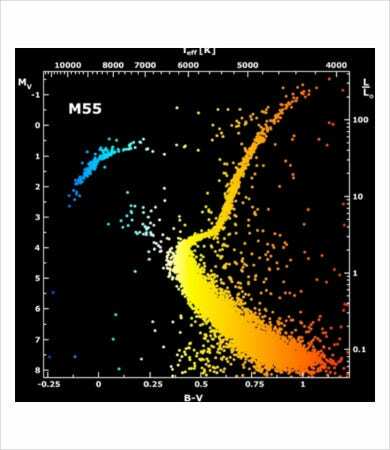 For example, a surface temperature of 5,000 to 6,000 K will point to a type-G star given the color white to yellow. 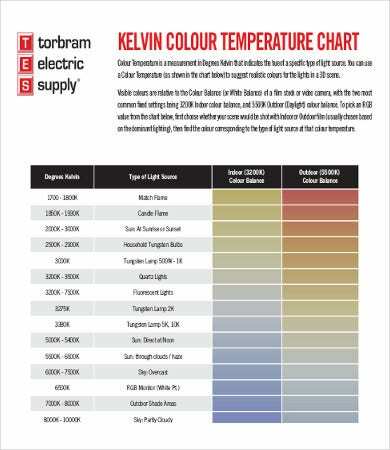 Orange to red on the chart will show a type-K star with a surface temperature of 3,500 to 5,000 K.
So How Do I Use These Color-Temperature Charts? This is a deliberately varied list that you can use however you want to. We cover a lot of fields here, many of which will not be important to you aside from objective curiosity. Feel free to download any or all of them. 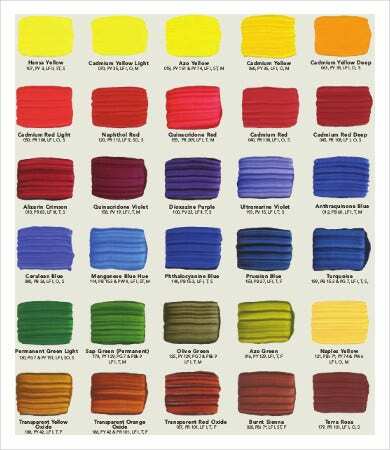 For designers, artists, and manufacturers, you will likely benefit a lot from this list, as well as from some practical Pantone Color Chart Templates we stock onsite. Be sure to check those out.